You know all those “author bios” you see when you read a story or book and have something like this pop up at the end? Yeah, those things? We have to write them ourselves. Which, you’ll admit, makes perfect sense. No one knows the author better than the author. No one—at least in theory—cares about the author as much. While (if it’s not already your habit) it’s a touch unsettling to refer to yourself in the third person, you get used to it. It’s a pretend game between the writer and reader–we pretend we aren’t we and you pretend you don’t know. In the past I’ve questioned whether or not people actually read those things, but I have since learned that the answer is “yes.” Which is a little scary, because after the first dozen or so it’s tempting to get a tad silly. It’s not just boredom with the subject, which is what I thought at first. It goes a little deeper than that. See, most—not all, just most—writers I know tend to be introverts. And talking about yourself, even in the third person so you can pretend it isn’t you, is way too close to “small talk.” Those introductory bits of conversation you have with people who don’t know you well which introverts tend to hate. Why? Well, first of all there’s the phrase “with people who don’t know you well.” To the average introvert, that’s a minefield. It’s not that we don’t like meeting new people, it’s just that, at least in the beginning, we’d rather listen than talk until we make up our minds about you. Obviously a new person is trying to make up their minds about us, so keeping silent is usually not an option and it makes us uncomfortable. We’re inherently uneasy talking about ourselves even when circumstances dictate we do it. A lot. While this impulse is forever at war with Writer’s Arrogance (mentioned downstream) it’s no less real. Writers have to be “out there” and promote ourselves, because we can’t count on anyone else to do it, and if by your natural silence you imply that you deserve to be ignored, chances are you will be. People tend to accept you at your own assessment, so you have to be very careful how you present that. So what’s the answer? Like so many other situations, there isn’t a single answer, other than balance and trying to find it. So we occasionally bobble, that’s to be expected. We’re on a tightrope after all. Richard Parks is an ex-pat Southerner now living in central New York state with his wife and two grumpy cats. He is the author of the Yamada Monogatari series, just concluded with _Yamada Monogatari: The Emperor in Shadow_ from Prime Books. In addition to several “Best of the Year” appearances, he has been a finalist for both the World Fantasy Award and the Mythopoeic Fantasy Award for adult literature. 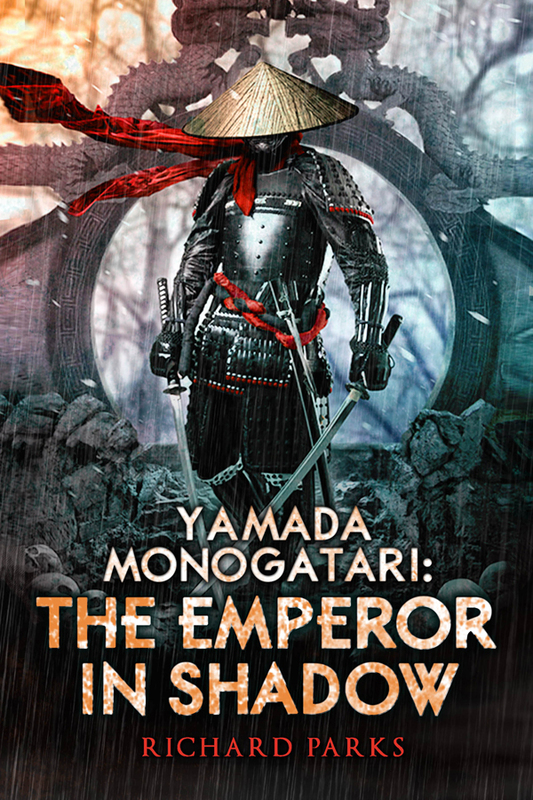 This entry was posted in novel, Process, Publishing, Reading, Writing and tagged introvert, Richard Parks, small talk, Yamada Monogatari: The Emperor in Shadow by ogresan. Bookmark the permalink. Definitely tough to find the balance. I usually try to stick to facts, though I’ve sometimes resorted to self-deprecating humor as well.